Traditionally Ch. 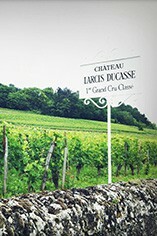 Larcis Ducasse, a St Emilion Grand Cru Classé, was regarded as a property with exceptional terrior but a constant underperformer. This has changed, mainly thanks to the talents of a new winemaking team headed up by Nicolas Thienpont (of Ch. Pavie Macquin repute) and Stephane Derenoncourt (the mercurial 'flying wine consultant') who have managed to unlock the potential of this sleeping giant. The estate is located on one of Bordeaux's finest strips of terroir - the Cote Pavie in St Emilion. Here, this 25-acre property abuts the 1er Grand Cru Classé Ch. Pavie estate. The vines are planted on an eclectic range of soils - alluvial sand deposits, clay, chalk and limestone. The vines, as one would expect for that part of the world, are predominately Merlot (some 75%) Cabernet Franc and Cabernet Sauvignon. The new winemaking team arrived in 2002 and since then, the wines have gone from strength to strength. Look out especially for the 2005 Ch. 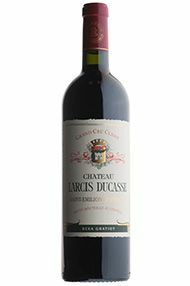 Larcis Ducasse (98/100 Parker), 2006 Ch. Larcis Ducasse (91-94 Parker) and 2007 Ch. Larcis Ducasse (92-94 Parker), as these are the manifestation of all the hard work undertaken at the château over recent years. I loved the blueberry and violet aromatics of this wine and the subtle smoky notes that prevail on the nose. It is also very finely poised on the palate with a wonderful freshness showing the hallmarks of the vintage. This offers an excellent introduction to the fine estate. A wine to savour and enjoy. This is still quite closed at present, but there’s some bright, ripe fruit just showing its head. It is much more open on the palate, with big and fully mature black and red fruit notes, nuances of spice and vanilla. This is a very big wine with the 83% Merlot in the blend, and it dominates at present. A full, yet balanced structure brings it to a long, satisfying finish. For me, this is where the right bank started to show its true potential for 2010. 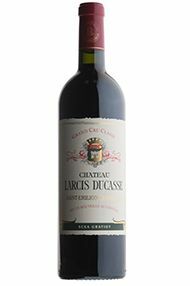 Whilst many were hard, angular and ungiving, Larcis was the opposite: bright, fresh, vibrant, uplifting, generous in beautifully ripe fruit and supportive in structure. Like many of the best 2010 wines, balance is the key and the use of oak here is perfect; a powerful wine with weight and charming texture. The perfect combination of modern and classic, nut there’s never enough to go round so grab it whilst you can.